Onkar S Kanwar is the Chairman of Apollo Tyres Ltd., India's largest automotive tyre manufacturer. As a visionary entrepreneur, he plays a pivotal role in the company's operations and the articulation of its business philosophy. Innovation, quality and exclusivity are his guiding principles, which have steered Apollo Tyres to become a leader in the Indian market by implementing a number of pioneering initiatives in the spheres of product, marketing, R&D and manufacturing. Registered in 1976, Apollo Tyres under his leadership transformed itself from an Indian tyre manufacturer of commercial vehicles to a global entity with a full-fledged product portfolio, spanning 3 continents. Onkar Kanwar also has business interests in healthcare services. The first state-of-the-art, super speciality hospital, Artemis Hospitals, has been established in Gurgaon, India. Artemis Hospitals is looking to redefine customer care and facilitation by using the latest technology, under some of the best doctors, to enable faster disease identification and cure. As a business leader, Onkar Kanwar has been closely associated with leading national and international industry organisations. He is a Past President of FICCI & ICC India, a former Director with the India's ECGC and KSIC, and former Chairman of ATMA. An initiative close to his heart is Apollo Tyres' HIV-AIDS awareness and prevention programme for the trucking community, implemented through Health Centres located in large trans-shipment hubs across India. A science and administration graduate from the University of California, Onkar Kanwar lives in New Delhi. He has two sons and a daughter. A widely traveled individual, with an ear for Indian and Western classical music, he is also a keen student of modern management practices and their successful application in business. Dr. Devlina Chakarvarty started her career in 1993 as a radiologist trained from Mumbai University. She did fellowships/ perceptorship programmes from University of Berlin (Germany), UCLA ( Los Angeles) and Brigham & Women (Boston) in Head and Neck & Body Imaging. She worked as senior faculty and Programme Director in Radiology in different reputed hospitals in Delhi before joining Artemis in 2007. She strongly believes in ethical practices in healthcare and quality of service. She believes private hospitals can make "profits" without "profiteering." She is a process and system driven person and believes strongly in "quality" and "efficiency" in healthcare. Good medical outcomes, patient safety, infection control are something close to her heart over and above creating great working environments for doctors and all other staff, through a transparent system of management. "Personalised tertiary care" with "service excellence" is her motto. Dr. (Col) Manjinder Singh Sandhu has graduated from Armed Forces Medical College in 1986. He did his MD (Medicine) from Pune University and DNB (Medicine) in 1993. He was awarded with the Gold medal for standing first in MD. He has done DM (Cardiology) from PGIMER, Chandigarh in 2001. He had a distinguished career in the Army Medical Corps and was last posted as Senior Adviser (Medicine and Cardiology) at Base Hospital, Delhi Cantt and was also holding appointment of Addl. Professor of Medicine and Cardiology at Army College of Medical Sciences, Delhi Cantt. He has had the honor of being the accompanying Cardiologist to The President of India on tours. He is a fellow of American College of Cardiology and Society for Cardiac Angiography and Interventions. He was re-designated as Medical Director and Director - Cardiology with affect from 1st April 2013 due to his consistent efforts towards achieving the organizational goals. He was authorized with additional responsibility of patient & nursing care services. He also handles responsibility of Medical Informatics and Medical Services with the CEO. He has over three decades of extensive experience in administration, logistics, PR, Teaching & training in the Army Medical Corps. He steered the Transfusion Center in Command Hospital, Kolkata & the Armed Forces Transfusion Center in Delhi. He served as Senior Advisor in Pathology at Base Hospital Delhi Cantt & Consultant Pathology at the Army Hospital(R&R) Delhi. He was the chief of Medical Support services & Head-Department of Pathology at Tata Main Hospital, Jamshedpur as well as Medical Director for a Stem cell based company in Gurgaon. Dr. Khetarpal has been a member of National Blood Transfusion Council, Ministry of Health & Family Welfare, Advisor to National Disaster Management Authority in formulation of Guidelines for Blood and Technical Expert in Blood Banking with the UN Office for project services. He was the first Pathologist representing the Indian Armed Forces in the United Nations Peace keeping mission in Cambodia and awarded for it. At Artemis, he has created a state of the art facility and has been instrumental in establishing the Stem cell harvesting & Therapeutic Apheresis facility, with NABH accreditation for the Blood Bank. Chartered Accountant with a passion for perfection, Mr. Kothari has over 23 years of expertise and knowledge in the F&A domain. Being associated with Apollo International as VP Accounts for more than 2 years, he has already been spearheading the Finance team at Artemis since September 2013. 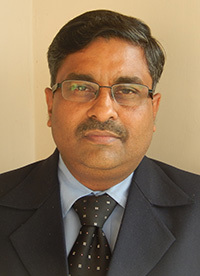 Prior to joining Apollo, he had been associated with industry giants like Ultratech cement & Gujrat Perstrop Electronics Ltd.
Rakesh is a seasoned legal professional with over 22 years of experience (Domestic and International) in various facets of Corporate Legal Practice including Corporate Laws, Companies Act and Secretarial Practices, Litigation, Compliance, Contracts, Merger and Acquisition, Risk Mitigation and Governance across industries. Rakesh has inter alia worked with Hindustan Unilever, Bharti Airtel, American Tower Corporation and Usha International. Partnering with business in strategic and policy initiatives, Regulatory interface, Public Policy, dealing with law enforcement agencies and legal support system has been his key focus areas. Handling high-stake and complex litigations, negotiation of contracts and commercial transactions, ensuring compliances and risk mitigation are highlights of his career. He led legal due diligence for enabling merger and private equity funds. Rakesh is a Bachelor of Law from Campus Law Centre, Delhi University and is a Fellow Member of Institute of Company Secretaries of India. Prior to joining Artemis, Rakesh was leading Global role for Legal and Regulatory Compliances and Assurance with Bharti Enterprises overseeing India, SE Asia and Operating countries of Africa. Flt Lt (Ms) Saras Malik has more than 18 years of rich managerial experience in Human Resources and Administration under the rigorous, exacting standards of Indian Air Force and result-oriented measures of the Corporate. She has been associated with Artemis for over 5 years. Prior to joining Artemis Hospital, she has worked with Fortis Healthcare for more than 5 years and as Administration branch Officer with Indian Air Force for 8 years. A strong believer of teamwork, she works in collaboration with others towards mutual success of the team's objectives. She has a management style based on strong interpersonal and human relations skills and has the ability to build a motivated team with a strong customer focus. She is an active member of various hospital Committees like Disciplinary Action Committee, Grievance Redressal Committee, Credentialing & Privileging Committee and Internal Complaint Committee. She is a Post Graduate from Delhi University and has done Business Management from MDI. 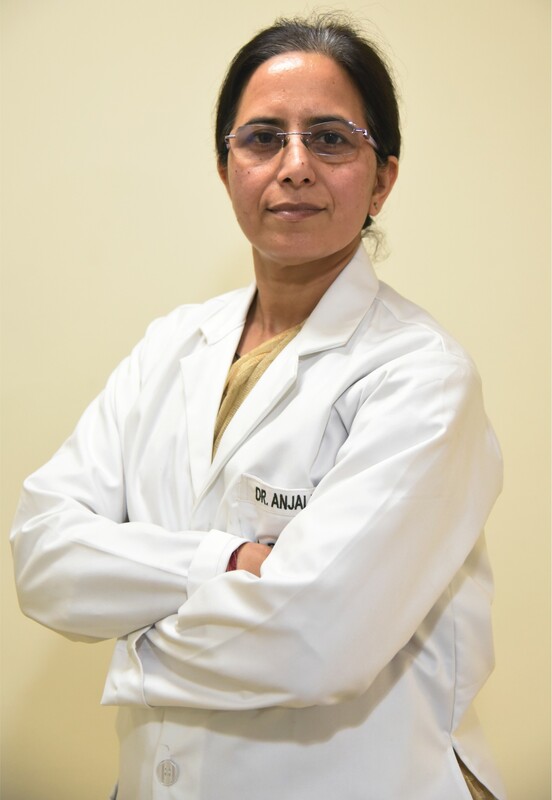 Dr. Anjali Kaul has 20 years of experience in the healthcare industry. After completing M.B.B.S., she specialized in leadership in Healthcare organizations from University of California, San Diego, U.S.A. Her experience revolves around Clinical practice, Quality and Health Insurance. She has been with Artemis for the past 9 years. Prior to Artemis, she worked with MAX Healthcare, Saket.